Rated 5 stars in 90% of consumer reviews, Bee Prepared is an ideal wellness supplement to take daily or as needed. The research based formula combines therapeutic quantities of high quality, plant sourced, immune supporting nutrients, all of which have a proven history of benefits. 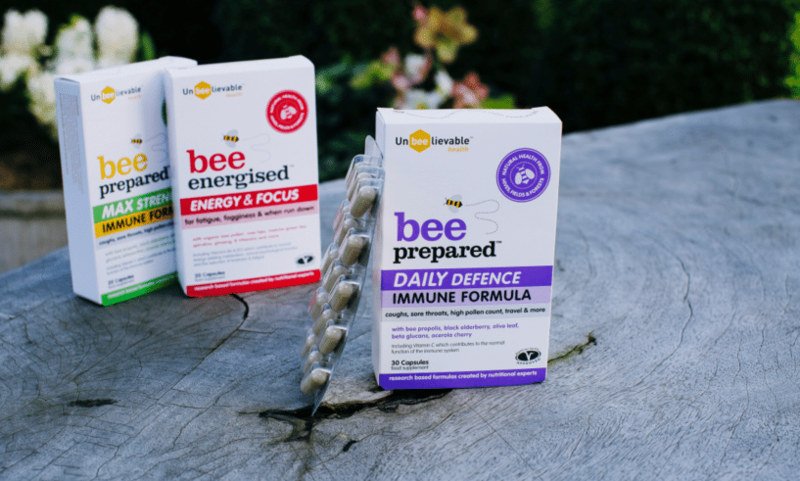 Bee Prepared is unique in that the nutrients it contains are not usually found in a regular diet or multivitamin, making them the perfect addition to any health regime. Bee Prepared Daily Defence may be taken daily or as needed- for colds and flu, during allergy season, before and during travel or detoxing, during intense fitness or sports training, when run down or when recovering from a serious illness. It may also be taken for skin breakouts. Bee Prepared daily is suitable for most ages. 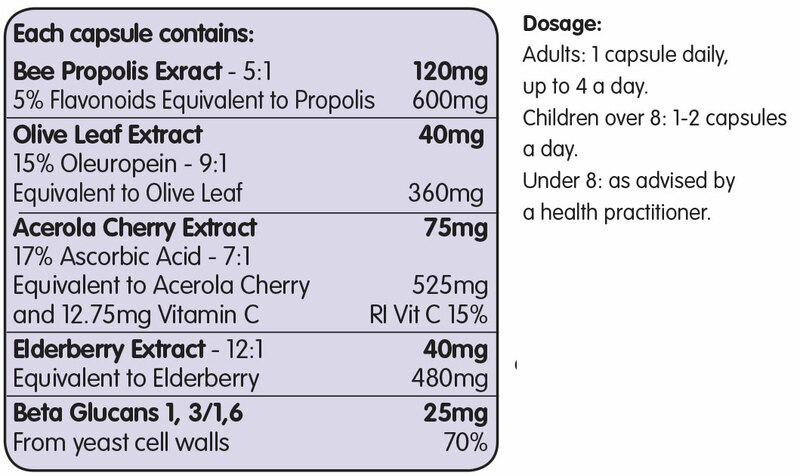 Bee Prepared immune support daily defense contains bee propolis, black elderberry, olive leaf, acerola cherry and beta glucans. Capsules may be opened into yogurt, juice or smoothies for children or those who are unable to swallow tablets. None of the ingredients over stimulate the immune system as some immune boosting nutrients can so they can be taken daily if desired and are a nourishing and beneficial addition to any daily health regime . Why choose Bee Prepared immune support?